Brick houses are hard to damage. Anyone familiar with The Three Little Pigs knows that. Inevitably, however, there comes a time when the mortar between bricks begins to degrade. The process of repair, known as repointing, is pretty easy (if a bit time consuming). Undoubtedly, it’s a smart thing to do. That’s because crumbling mortar, if not fixed, allows water to seep in between the bricks, causing them to swell and crack and become generally blow-downable. Here’s how to keep your brick walls standing tall. 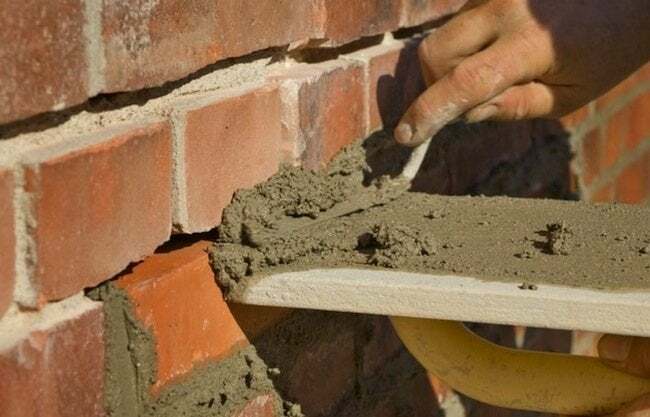 If your house is less than 50 years old, you will likely be safe using standard portland cement mortar to refill the spaces between your bricks. If your abode is older than that however, you’ll want to use a different mix, consisting of lime and sand. 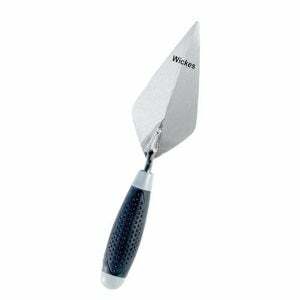 This is what was originally used in brickwork and it’s best to use the same mix as a replacement. That’s because portland cement mortar is very hard when it dries and can cause older bricks to crack. The lime mix acts almost like disks between vertebrae in the spine: it cushions the brick and moves along with the wall as it flexes. 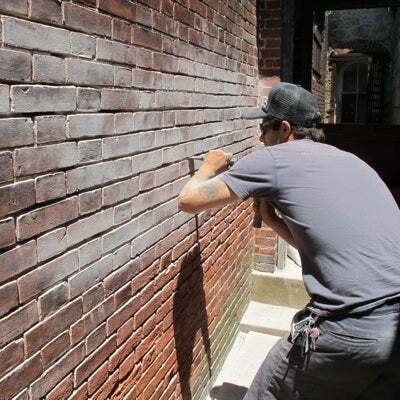 If you want to be sure you’re using the correct mortar replacement, you can check with a mason specializing in restoration work, or you can send a sample to be analyzed to a company like LimeWorks. Otherwise, a general rule of thumb is to make a mortar mix from 6 parts fine white sand, 2 parts lime and 1 part white portland cement. No matter the mortar mix you use, be sure to make it in small batches as it hardens quickly. Place the ingredients in a wheelbarrow and mix to a frosting-like consistency whereby the mortar holds its peaks when you draw it upwards with a trowel. Tip: Mortar sets up best in temperatures between 50 and 80 degrees, so you might want to do this project in the cooler months of the year. All in all, it’s a tedious, detailed job and you may find yourself huffing and puffing during it, but you’ll soon be satisfied that nobody and nothing will be blowing your brick house down anytime soon.